But best of all it means I am now one of the very few in the world who have both the Tableau Desktop Certification and the Tableau Server Certification. Rumours are that only around 20 people in the world have both certifications. So why did I get certified in the first place? My first certification exam was way back at the San Diego conference in 2012 (how time flies!). That was the Tableau Desktop Qualified exam in version 7.0. I took that to prove to myself that I did actually know something about this piece of software. Also it looks great on your C.V. and can prove to potential future employers that you know what you're talking about. For me I'm sure it helped me bag my awesome job as Tableau consultant with The Information Lab (TIL). Once I was part of TIL getting certified is in our nature. Yet I also wanted to keep pursuing the other certifications for personal reasons (#GottaCatchEmAll) . When I took Desktop Certified (a 3 hour test of your Tableau and visual analytic skills) I wanted to prove that not only did I know Tableau, but that I could critique visualisations and also create better, more insightful ones based on best practices. That's what's great about the Tableau exams, it's not just knowledge of how to use it, but why one visualisation could be better than another. For the Server Qualified and Certified, it was proof that I could learn something completely new and alien to me. I'm not a techie, I didn't study computing at college or university. Yet I could install and set up a Tableau Server environment without too much knowledge. However if you really want to be a successful Tableau Server admin you really need to know your stuff! You need to know about the different components of the service and what processes do what. How to handle errors or bad installations. How to monitor for performance and best practices for scaling to enterprise environments. That for me was really challenging. Getting Certified was a way of saying to myself, "okay, maybe I do understand some of this stuff now". It gives me a bit more confidence when I make suggestions or go in and train others in Tableau Server. Saying that I also couldn't have done it without the help of my colleagues at TIL who are way brainier on Server than me. 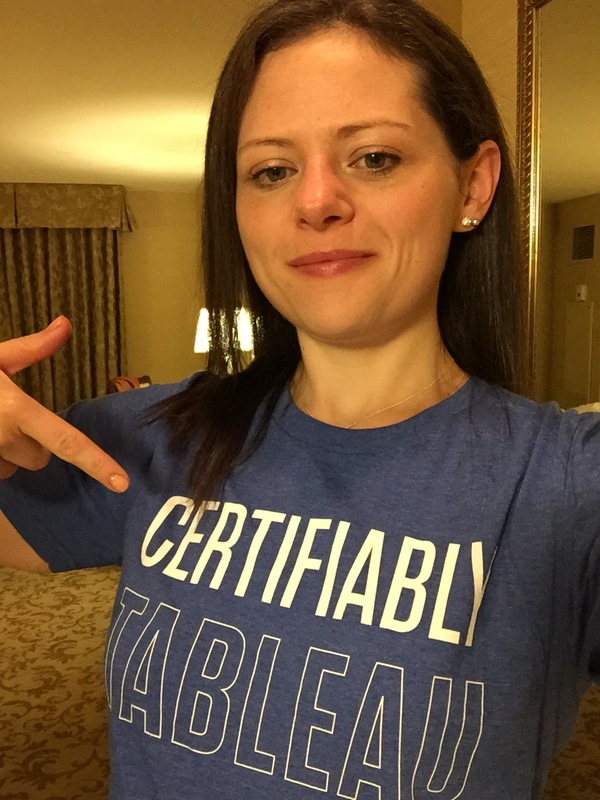 So if you've read this and want to give yourself a personal challenge, or you think that getting certified will help you get on in your career, then check out how to get certified on Tableau's website.